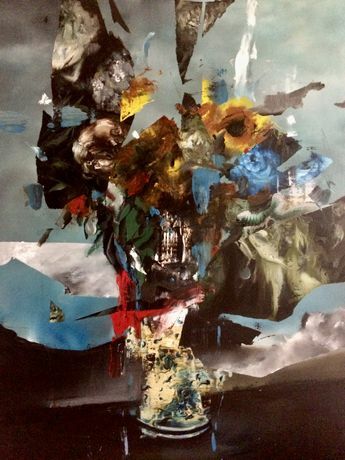 Rhodes Contemporary Art is proud to present BLOOM: the new solo show by contemporary French painter, Florian Eymann. Self-taught, Eymann is best known for his oil paintings; exploring dark themes, and experimenting with form and content by deconstructing and reinterpreting traditional painting subjects. Eymann’s second show at the gallery, BLOOM explores the destruction of traditional painting styles. In this new series of works, he takes the traditional subjects of flowers and the ‘still life’ and transforms them into an explosion of colour and texture. His work makes the viewer discover that the representational standards can transcend by explosive and abstract touches of paint which partially camouflage the work and thus let the imagination be carried away.